One of the things that challenge parents is to make babies fall asleep on time, especially at night. However, there are many things that are often the cause of insomnia. 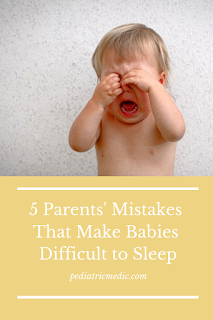 Mom and dad can actually cause your baby to have trouble sleeping. Everyone must need preparation time to sleep. Just like babies, they also need sleep routines so that they understand that this is the time to sleep. Sleep routines are an easy way for babies to fall asleep. It's good to start dimming the lights and not making noise one hour before bedtime. Changing clothes with sleeping clothes you can also do as a sleep routine. The baby must make a sign if he is very tired and wants to sleep. Rubbing eyes, yawning, slow motion, fuss and no interest in playing are common signs if your child starts to get sleepy. If you ignore this sign, your body will not pump melatonin, a hormone that can calm your body. Instead, the adrenal glands will produce cortisol, a hormone that can produce stress. If a sign appears, try bringing it to a quiet, dark room so that it can fall asleep according to its sleepiness. Actually, this behavior is not bad for the baby's health. However, this habit will make the baby unable to sleep without being carried or swung. This will make the baby not understand the signs of drowsiness in themselves. When the baby wakes up at night, let the little one fall asleep again. Mom also needs to train her to sleep by watching the sleepy sign. If he is sleepy, he must be taken to sleep immediately. When Mom is traveling, Mom often makes babies fall asleep anywhere. Starting from the stroller, car and other places. This will make the child not fall into the deep sleep zone. Good sleep habits must begin with sleeping consistently on the same bed. 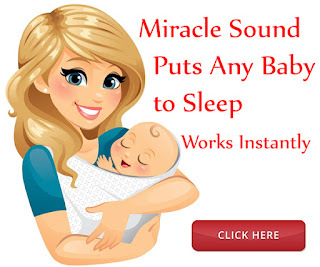 This will make the baby not have trouble sleeping soundly because he is accustomed to having good quality sleep. The cause of this baby's sleeplessness will make the baby not understand his sleep schedule. Even though he has his own sleepiness, Mom still needs to provide a stimulus to the baby so he understands that there is a time to sleep. In addition, letting your baby sleep too late at night will reduce the time and quality of his sleep. This will make the child tired the next day and not have a regular sleep schedule.